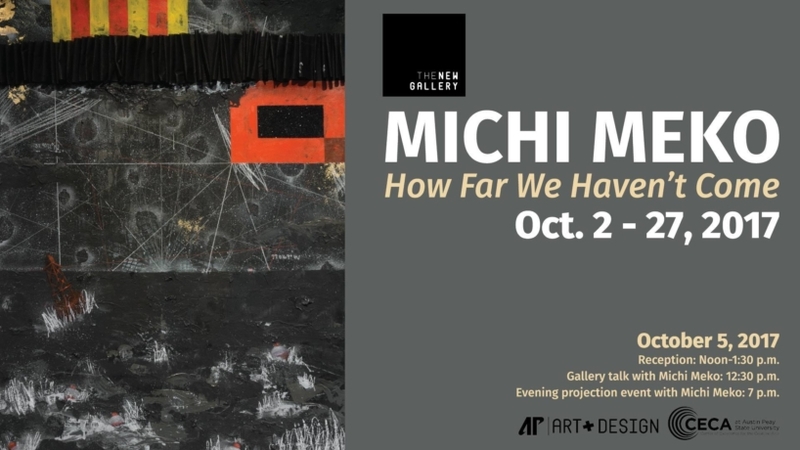 The New Gallery, with support from The Center of Excellence for the Creative Arts and the Department of Art + Design, is pleased to present Michi Meko: How Far We Haven’t Come, to continue an exciting 2017-18 exhibition season. 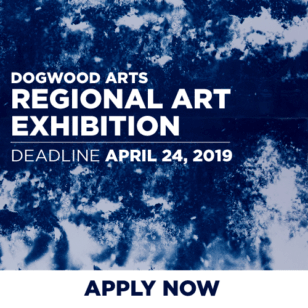 The exhibit opens October 2 at The New Gallery, located in the Art + Design building on the campus of Austin Peay State University, and runs through October 27. There will be a reception on October 5 beginning at noon, and a gallery talk with Michi beginning at 12:30pm. Beginning at 7:30 p.m., Michi will project select films and video onto the exterior of The New Gallery as part of Clarksville’s First Thursday Art Crawl. All are welcome.